Haskell Wexler, ASC (February 6, 1922 – December 27, 2015) was an American cinematographer, film producer and director. Wexler was judged to be one of film history's ten most influential cinematographers in a survey of the members of the International Cinematographers Guild. Wexler was born to a Jewish family in Chicago in 1922. His parents were Simon and Lottie Wexler, whose children included Jerrold, Joyce (Isaacs) and Yale. He attended the progressive Francis Parker School, where he was best friends with Barney Rosset. After a year of college at the University of California, Berkeley, he volunteered as a seaman in the Merchant Marine in 1941, as the U.S. was preparing to enter World War II. He became friends with fellow sailor Woody Guthrie, who later gained fame as a folk singer. In the Merchant Marine Wexler was an advocate for the desegregation of seamen. In November 1942, his ship was torpedoed by a German submarine and sank off the coast of South Africa in shark-infested waters. He spent 10 days on a lifeboat before being rescued. After the war, Wexler received the Silver Star and was promoted to the rank of second officer. He returned to Chicago after his discharge in 1946 and began working in the stockroom at his father's company, Allied Radio. He decided he wanted to become a filmmaker, although he had no experience, and his father helped him set up a small studio in Des Plaines, Illinois. He began by shooting industrial films at Midwest factories. When his studio lost too much money, it was eventually shut down, but the business served as an unofficial film school for Wexler. He later took freelance jobs as a cameraman, joining the International Photographers Guild in 1947 He worked his way up to more technical positions after beginning as an assistant cameraman on various projects. He made a number of documentaries, including The Living City, which was nominated for an Academy Award. Wexler briefly made industrial films in Chicago, then in 1947 became an assistant cameraman. 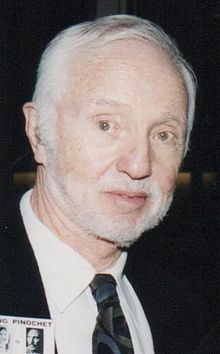 Wexler worked on documentary features and shorts; low-budget docu-dramas such as 1959's The Savage Eye, television's The Adventures of Ozzie and Harriet and TV commercials (he would later found Wexler-Hall, a television commercial production company, with Conrad Hall). He made ten documentary films with director Saul Landau, including Paul Jacobs and the Nuclear Gang, which aired on PBS and won an Emmy Award and a George Polk Award. Other notable documentaries shot and co-directed (with Landau) by Wexler included Brazil: A Report on Torture and The CIA Case Officer and The Sixth Sun: A Mayan Uprising in Chiapas. In 1963, Wexler served as the cinematographer on his first big-budget film, Elia Kazan's America America. Kazan was nominated for a Best Director Academy Award. Wexler worked steadily in Hollywood thereafter. George Lucas, then 20, met Wexler who shared his hobby of auto racing. Wexler pulled a few strings to help Lucas get admitted to the USC Film School. Wexler would later work with Lucas as a consultant for American Graffiti (1973). Wexler was cinematographer of Mike Nichols' screen version of Who's Afraid of Virginia Woolf? (1966), for which he won the last Academy Award for Best Cinematography (Black & White) handed out. The following year had Wexler as the cinematographer for the Oscar-winning detective drama, In the Heat of the Night (1967), starring Sidney Poitier. His work was notable for being the first major film in Hollywood history to be shot in color with proper consideration for a person of African descent. Wexler recognized that standard lighting tended to produce too much glare on that kind of dark complexion and rendered the features indistinct. Accordingly, Wexler toned it down to feature Poitier with better photographic results. However, he won a second Oscar for Bound for Glory (1976), a biography of Woody Guthrie, whom Wexler had met during his time in the Merchant Marine. Bound for Glory was the first feature film to make use of the newly invented Steadicam, in a famous sequence that also incorporated a crane shot. Wexler was also credited as additional cinematographer on Days of Heaven (1978), which won a Best Cinematography Oscar for Néstor Almendros. Wexler was featured on the soundtrack of the film Underground (1976), recorded on Folkways Records in 1976. He worked on documentaries throughout his career. The documentary Paul Jacobs and the Nuclear Gang (1980) earned an Emmy Award; Interviews with My Lai Veterans (1970) won an Academy Award. His later documentaries included; Bus Riders' Union (2000), about the modernization and expansion of bus services in Los Angeles by the organization and its founder Eric Mann, Who Needs Sleep (2006), the Independent Lens documentary Good Kurds, Bad Kurds: No Friends But the Mountains (2000), Tell Them Who You Are (2004) and Bringing King to China (2011). Wexler also directed fictional movies. Medium Cool (1969), a film written by Wexler and shot in a cinéma vérité style, is studied by film students all over the world for its breakthrough form. It influenced more than a generation of filmmakers. The making of Medium Cool was the subject of a BBC documentary, Look Out Haskell, It's Real: The Making of Medium Cool (2001). Produced by Lucasfilm, Wexler's film Latino (1985) was chosen for the 1985 Cannes Film Festival. He both wrote and directed the work. Another directing project was From Wharf Rats to Lords of the Docks (2007), an intimate exploration of the life and times of Harry Bridges, an extraordinary labor leader and social visionary described as "a hero or the devil incarnate, it all depends on your point of view." In 1988, Wexler won the Independent Spirit Award for Best Cinematography for the John Sayles film Matewan (1987), for which he was also nominated for an Academy Award. His work with Billy Crystal in the HBO film 61* (2001) was nominated for an Emmy. Wexler died in his sleep at the age of 93 on December 27, 2015 at his home in Santa Monica, California. In 1993, Wexler won a Lifetime Achievement Award from the American Society of Cinematographers, the first active cameraman to be awarded. In 1996, he was awarded a star on the Hollywood Walk of Fame, the first cinematographer in 35 years to be so honored. In 2004, Wexler was the subject of a documentary, Tell Them Who You Are, directed by his son, Mark Wexler. In 2007, he received a Lifetime Achievement Award from the Independent Documentary Association and the same from the Society of Operating Cameramen. In 2014, the Location Managers Guild of America awarded Wexler the Humanitarian Award at its inaugural awards show. Six of the films he worked on have been preserved by the National Film Registry for being "culturally, historically, or aesthetically significant": Who's Afraid of Virginia Woolf (inducted in 2013), Days of Heaven (2007), Medium Cool (2003), In the Heat of the Night (2002), American Graffiti (1995) and One Flew Over the Cuckoo's Nest (1993). In September 2016, George Lucas created the Haskell Wexler Endowed Chair in Documentary at the USC School of Cinematic Arts. The first holder of the Wexler Chair is Michael Renov, Vice Dean of Academic Affairs at SCA and a professor in the Bryan Singer Division of Cinema & Media Studies. ^ "Haskell Wexler Biography (1922?-)". Filmreference.com. Retrieved 29 January 2018. ^ "Top 10 Most Influential Cinematographers Voted on by Camera Guild". PRNewswire. October 16, 2003. Retrieved January 17, 2014. ^ "Haskell Wexler: The Hollywood Interview". Haskell Wexler's personal blog. Retrieved January 17, 2014. ^ a b Anderson, John. "Haskell Wexler, Oscar-Winning Cinematographer, Dies at 93." The New York Times, December 27, 2015. ^ "About". Haskell Wexler's personal blog. Retrieved 17 Jan 2014. ^ Beginning the next year, the Academy eliminated a separate category for awards for Black and White and Color in Art Direction, Cinematography, and Costume Design. Source: Clooney, Nick (November 2002). The Movies That Changed Us: Reflections on the Screen. New York: Atria Books, a trademark of Simon & Schuster. p. 79. ISBN 0-7434-1043-2. ^ Harris, Mark (2008). Pictures at a Revolution: Five Films and the Birth of a New Hollywood. Penguin Press. p. 221. ^ "Who Needs Sleep? (2006)". IMDb. Retrieved 1 February 2014. ^ "Good Kurds, Bad Kurds". IMDb. Retrieved 1 February 2014. ^ "Tell Them Who You Are (2004)". IMDb. 2004. ^ "Look Out, Haskell, It's Real: The Making of 'Medium Cool' (2001)". IMDb. Retrieved February 1, 2014. ^ "From Wharf Rats to the Lords of the Docks: The Life and Times of Harry Bridges". The Harry Bridges Project. Archived from the original on 2009-12-12. ^ Richard Natale (December 27, 2015). "Haskell Wexler, Oscar-Winning Cinematographer and Documentary Filmmaker, Dies at 93". Variety.com. Retrieved December 27, 2015. ^ Matt Brenan (December 27, 2015). "Haskell Wexler, Legendary Cinematographer, Dead at 93". Indie Wire.com. Retrieved December 27, 2015. ^ "HUMANITARIAN AWARD: CINEMATOGRAPHER HASKELL WEXLER". Location Managers Guild of America. Retrieved 29 June 2016. This page is based on the Wikipedia article Haskell Wexler; it is used under the Creative Commons Attribution-ShareAlike 3.0 Unported License (CC-BY-SA). You may redistribute it, verbatim or modified, providing that you comply with the terms of the CC-BY-SA.